WSET talks to María José Sevilla DipWSET, Director of Foods & Wines from Spain at the Spanish Embassy in London and Diploma graduate, class of 1986. You’re Director of Foods & Wines from Spain at the Spanish Embassy in the Economic and Commercial Office. Can you tell us more about what you do? I am responsible for marketing and promotion, and maintaining information relating to Spanish foods and wines in the UK market. I enjoy all matters related to market analysis, direct contact with producers and exporters, as well as the creation of specific sectorial campaigns. I am also responsible for all promotional activities related to Spanish gastronomy. You’ve written several cookbooks and presented food programmes for the BBC, so we can tell you’re passionate about communicating your interests to a wider audience. What do you think is the best way to reach out to consumers and get them excited about food and wine? Both food and wine are, in the case of Spain, strongly supported by culture, authenticity and uniqueness; three elements the British consumer appreciates especially when he or she is addressed directly. Apart from this, more than ever before, Spain offers diversity and quality, is a terrific tourist destination, and its gastronomy without even mentioning the Tapas phenomena has become a world powerhouse of innovation and creativity. Both food and wine are, in the case of Spain, strongly supported by culture, authenticity and uniqueness; three elements the British consumer appreciates especially when he or she is addressed directly. 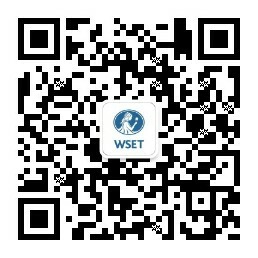 Can you tell us more about why you took the WSET Level 4 Diploma? In my particular case, I was so convinced of the relevance of obtaining the Diploma that I paid for the courses myself although I was given free time to attend the classes. However, these days I expect my staff to demand that our organization pays for them. To me this is how they can demonstrate their interest and their commitment to the trade and to their jobs. What impact did completing the Diploma have on you and your career? Without the Diploma and the serious commitment to education I developed by taking the WSET courses, I would not be writing these words now. The WSET Diploma has been instrumental and fundamental in the development of my career in the world of wine, especially at the beginning when the pre-requisite to becoming a director of Wines from Spain was that you had to be a man, British and over 50 years old. You’ve been working in the food and wine industry for over 30 years. What do you consider the highlight of your career? After all these years I am still looking for highlights and they come often; when knowing that a producer has done a good deal, when lecturing about the Moors’ contribution to the original Spanish flavours or, if I am allowed a moment of vanity, when the BBC program I presented, Spain on a Plate won the Glenfiddich Award for the best TV program of the year in 1992. Perhaps the greatest of all is the annual Caballeros Investiture Dinner, when as Director of Foods & Wines from Spain I get to announce the names of the new members.